RosaritoBeachVacations.com offers unique Villas in excellent locations at competitive prices. These Villas are privately owned units that are extensively upgraded to standards of high-end Spanish traditional furnishings and architecture. 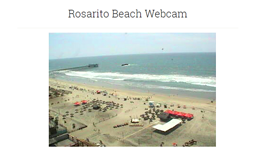 Where is Rosarito Beach, Baja California, Mexico? Anytime! The weather is similar to San Diego’s coastal areas, but with constant ocean breezes keeping us cool in summer. Year round, we enjoy an almost perfect climate with mild winters and balmy summers. There is usually a brief period of rain in the winter. Is La Paloma a high-rise and ritzy hotel? Absolutely not! 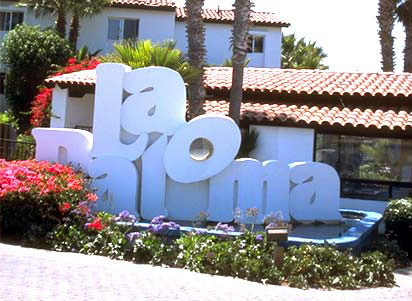 As a previous guest said it best, La Paloma is resort living at its best. This community is considerably more personable and warm than any high-rise hotel could ever be. All units rented out by us are Mediterranean-styled Villas. Our Villas are ground level. There are many residents who live there at La Paloma all year long and others who come whenever they can get away! Is there a Laundromat facility available on-site at La Paloma? Yes! It is conveniently located at the Main Clubhouse. This Laundromat is equipped with four washing machines as well as four drying machines. Are pets allowed at La Paloma? Unfortunately, we cannot allow pets to share their vacation with their beloved owners while staying at La Paloma. The HOA does not allow pets in rental units and we strictly enforce this policy. You cannot stay with a pet. How many square foot are either Villas? The estimated sq. footage is approximately 1,200 sq. ft. All three Villas include 2 bathrooms, 2 bedrooms, living room, den, dining room, a fully equipped kitchen, and a patio with barbeque & ocean views. All three villas are located in the Southern proximity. None are in the 4 story street location. Are Rosarito and the surrounding area safe? Yes, Rosarito Beach is probably safer than your hometown. Guns are illegal in Mexico and Baja California has the lowest unemployment rate in all of Mexico for almost a decade and is currently at almost 0%. Thus, occurrences of violent crime are relatively rare and random violence practically non-existent. However, it’s always wise like anywhere to undertake normal precautions to safeguard yourself and your possessions just like you would do at home. Lock your car. Don’t leave valuables in plain view and try to park in well-lit places. Mexico’s tap water is considered unsafe for consumption. If you need to drink tap water, it is advisable to boil the water prior to drinking it. The locals do not drink the tap water themselves so you’re not going “local” when you do this. In addition, there is a Mexican federal law stating that restaurants must serve purified, “drinkable” water, tested free of contaminants both for drinking and for ice. Most hotels in Rosarito also provide bottled or purified water in guest rooms and popular international brands of bottled water are available for purchase virtually everywhere. Yes, you can safely eat most food if the restaurant establishment is legitimate, of which most in tourist areas are. When in doubt, ask the server if they know how to prepare food for Americans or move to another dining establishment that you feel more comfortable with. You are advised to exercise caution in purchasing food from carts that you may run into. Can I bring my children to Rosarito? Absolutely! Rosarito Beach and La Paloma is kid-friendly to an extreme. There’s a lot to do for kids of all ages. There are five modern hospitals and numerous doctors in Rosarito Beach. Ambulance and helicopter transportation to the United States is available in emergencies. Please review Rosarito info for complete details. Are there ways for me to get transportation to an Emergency Room in the USA? Emergency Ambulance Transfer Service to the U.S. can be arranged through Medic One Medical: within Baja: 01(800) 027-3320, in the USA (888) 901-7037 and (619) 247-6768. Further assistance can be obtained from the Baja California Visitor Assistance Hot Line 078. When I am out drinking in the club atmosphere, what should I be aware of? “Smart drinking” is always recommended when visiting bars or nightclubs: always be aware of what you are being served and never leave your drink unattended. Use common sense and enjoy the experience of Mexico and Baja California. It’s illegal to drink on the streets or in your car in Mexico. Do you recommend any agencies where I can get the required Mexican Liability Insurance for my vehicle? We have done our extensive comparison and research. As far as we could surmise, both from our research and personal experience, two agencies come out on the top. Both are full-service agencies that provide roadside assistance at no additional charge and many other extras. Their rates are also competitive. Can I rent a car in Mexico or bring a rental car into Mexico? Avis and Thrifty both allow their cars to be used across the border. Always ask your rental agency for verification of their policy on this and get it in writing on your contract! A word of caution for the wise: some agencies will impose a huge surcharge if you take it even a mile across the border and they will know because some rental cars come with a tracking device. That’s why it is very important to get it in writing to protect yourself. What is the toll road that I keep hearing about? The toll roads is a well maintained paved road running from Tijuana to just shy of Ensenada and elsewhere. You will pay a toll fee to use the road and in exchange, your money is used to maintain emergency phones that are placed every mile on alternate sides of the toll read, and are well marked with signs. The Tijuana-Tecate and Tijuana-Ensenada Toll Reads will also provide you with ambulance service, towing service, additional night monitoring, and emergency medical service if necessary through the organization called “Green Angels.” Recent changes have routed the La Paloma exit as the 5th Rosarito exit – right into La Paloma. How much is the toll fee? It is approximately $2.50 at the first and only tollbooth necessary to commute to and from Rosarito Beach. US dollars or pesos will be accepted (not a combination of both though). Cash only. Is the toll road safe for us to drive on? Yes, it is very clean and well patrolled by the English-speaking Green Angels. This is an organization that falls under the jurisdiction of the Federal Tourism Secretariat. Their main function is to offer basic assistance to tourists in case of a vehicle malfunction while on the Mexican highways. They also provide free basic mechanical service. They have a communication network with different government offices and also offer basic tourist information about the region. What if I got a ticket issued by the police? If you are stopped by a police officer for a traffic violation you should always politely insist on a written citation that you could pay at the police station or by mail. When faced with a fine that you consider unfair, you can contest the fine by filling an appeal, either orally or in writing, for a municipal judge to review the fine. To do this, immediately go to the nearest municipal judge; if you need help to do this call our Tourist Assistance Hot Line 078. Remember that Mexican laws are applied equally to local residents as well as visitors who find themselves in Mexican territory. Always remember to carry with you a valid photo ID. It is strongly recommended that you speak respectfully towards the police at all times. not having or not using the seat belt. using cellular phone while driving. driving without a valid driver’s license or car registration. drinking alcoholic beverages on the streets, sidewalks or public property. driving under the influence of alcohol or drugs (DUI). In addition to the fine, you may also be detained. What should I know about driving in Mexico? In some places, traffic signs or lights are considered on an advisory basis rather than mandatory. Be on lookout for hazards as they can be unexpected. Also watch out for speed bumps of various types on the highways themselves, typically found near small towns! Left turn signal from the car in front of you may mean they are communicating that it is now okay to pass him/her now. You can flash your headlights while passing to let the other cars know what you are doing so they can adjust their speed to make sure you pass safely. Be sure to always have the all the correct paperwork for the car easily accessible. Police enforces this to stop car thieves. Do NOT risk going south of Ensenada without the correct tourist visa paperwork stamped by a Mexican official because you are exiting the tourist zone that extends 100 km south of the border. Occasionally, there are very small checkpoints manned by the federal Mexican army on some roads. They will usually quickly ask you ‘?donde viene?’ (Where are you going?). If you don’t look like a local (in other words, you look like a tourist), you won’t have any problems. Just tell them which tourist town you are heading to and you’re on your way once again. When you refuel your car with gas in Mexico, it is generally recommended that you purchase higher grade of gasoline than you would in USA because their standards are different thus the regular unleaded gas may not be as clean as your car is accustomed to. What should I do if I find myself in a traffic accident? Dial the number 066 to notify the municipal police. Ask that a policeman and a police accident investigator come to the scene to make a report. Or you can call the Tourist Assistance Hotline 078. Do not remove the vehicles that are involved in the accident. Go with the accident investigator to the local police station. You have the right to call your vehicle insurance company representative to discuss the accident with the judge and the accident investigator to determine who was at fault. If someone is injured, no matter how slightly, the person alleged to have done the injury must present himself at the State District Attorney’s Office. If no one is injured, the parties to the accident can go before a judge to make an agreement concerning payments for the repairs, thus avoiding going to the State District Attorney’s office. What can I bring across the border either into Mexico or back into United States? There is an excellent booklet online at the U.S. Office of Homeland Security Website that you should become familiar with if you are planning on bringing unusual or expensive items back to the U.S. with you. The information in this FAQ may be outdated as regulations may change many times in a short period of time! The peso is the official currency of Mexico but since Rosarito Beach and Ensenada is so close to the border, dollars are accepted almost everywhere. Major credit cards are also accepted at most major restaurants, shops and hotels. There are also ATM machines in town located at various locations bank branches along the B. Juarez Blvd. They accept Visa and Mastercard and dispense bills in pesos or sometimes even dollars. If you prefer to use pesos exclusively during your stay, you’ll also find several banks and money-exchange houses in the downtown area where you can make money exchanges. What is the current conversion rate between my currency and the Mexico’s peso? I’m glad you asked! Here’s a nifty link : The XE.com Universal Currency Converter. I don’t speak Spanish. Will I be able to communicate? Yes. English is spoken almost everywhere in the main tourist areas. I have a question about using phones there or using my cell phone in Mexico? For extended stays in the Baja beyond 72 hours, a tourist card is required. These can be obtained free from international airlines authorized to travel to Mexico, the Mexican Consulate in San Diego, or the Mexican Immigration office just across the border at San Ysidro. Proof of nationality is required to obtain a tourist card. Alternatively, you could go through DiscoverBaja travel agency, one of our recommended vendors for automobile insurance. They will take care of this for you. What are the alcoholic beverage and drug laws in Mexico? The legal drinking age is 18 and most bars and nightclubs require an form of official ID before admittance when they doubt the customer’s age. Drinking on the streets is against the city ordinance and fines are imposed on offenders. Drinking and driving is a jailable offense that also carries a heavy fine. It is a criminal offense to use, possess or traffic in illegal, mind-altering drugs (cocaine, marijuana, heroin…etc.). Even the possession of a few grams will bring a jail sentence of eight years or more. Legal, medicinal mind-altering drugs (such as Valium) require a medical prescription for purchase and use. Many common prescription drugs are available over the counter in Mexico at approximately 1/3 to 3/4 of U.S. prices. Note: Many common prescription drugs are available over the counter in Mexico at approximately 1/3 to 3/4 of U.S. prices. To purchase such drugs without a prescription is to risk being detained by the police. When buying any type of medication, make sure that there is no restriction for its purchase over the counter. If needed, be sure to have a prescription issued by a Mexican doctor. It is strictly prohibited to have excessive quantities of controlled medicines in your possession. Use common sense. For more information on bringing prescription into U.S visit the Customs Internet site: www.customs.ustreas.gov. Remember that if you purchase any medicine requiring a prescription and you buy it over the counter, you are at risk of being detained by the police authorities. What about prices in Mexico? Mexico has a different culture thus virtually everything is negotiable if done so in a respectful manner. There are reports of those who have negotiated everything from paying their traffic fine on the spot with just $3 or all cash in their wallet to get deep discounts on car rental places even though there are posted prices set by the corporate headquarters in the US. Negotiate whenever possible. This is especially true the further south you go from the border. I heard there are a lot of panhandlers in Mexico? Every major city in the world has panhandlers. This social problem is common to urban areas. Their presence need not prevent people from enjoying Baja California and its amenities. We suggest using a combination of caution and respect around panhandlers and other strangers. Contributing to panhandlers will not help the problem. If you wish to help, contribute to a charity, mission, food bank or social service agency that assists the needy. What type of assistance is available for tourists? There is city bus service, taxis and private transport. – Taximeters are not widely used in Baja so when using a taxicab, make sure to negotiate the fare before boarding! – Exact fare is much better because drivers may not have any change! Can you give me the contact information on various local agencies? Sure! Also see the chart below for additional information! Kilómetro, 28 local 13-B carretera libre Tijuana- Ensenada.